A suspected gas leak at an Aberdeen school has forced hundreds of pupils home today. Aberdeen Grammar School on Skene Street was evacuated this morning to allow for an investigation after the smell of gas was reported. Parents were sent messages by the head teacher of the school to tell them their children would need to return home until further notice. Gas engineers were sent to investigate the issue, and make sure the school is safe for pupils to return. 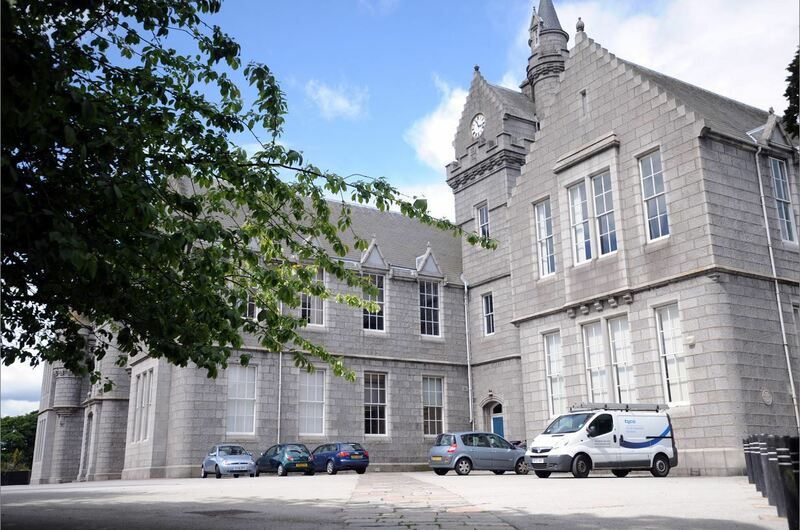 A spokesman for the city council said: “Aberdeen Grammar School has been closed to pupils today, following a suspected gas escape in the building which was detected after pupils had started to arrive for the day. “The gas was immediately isolated and as a precaution arrangements have been made for all pupils to be sent home. “Our building services team are on site and our term maintenance gas contractor has been called out. Tests will be undertaken to identify the source of any escape and any necessary repairs will then be undertaken before the gas supply is reinstated. A spokesman for SGN said gas engineers were sent after someone noticed the smell of gas. He said: “We attended Aberdeen Grammar School earlier today following reports of a small of gas. “Our engineers were called in our capacity as the national gas emergency service, and the school made the decision to evacuate staff and students as a precaution. “Our engineers have completed safety checks and made the area safe.